Lemon productions became more and more abundant around the world because of its nutritious contents. Lemons are used in many different ways in lemon industries and factories, but not among households. How do you eat or taste lemon in your house? Probably, you do not know how to apply lemon the right away. Do you just squish a few drips to your whisky, vegetable salad, bread, ice cream, roasted meat, cake, baked chicken, fruit drinks, or to your other favorable dishes? If so, what a waste! I'm sure you know how nutritious a lemon is. 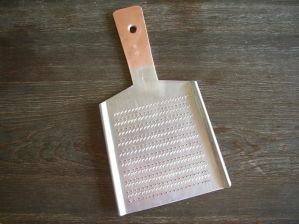 But you may only know how to use it as a simple seasoning, as most people do, and not as a side dish. 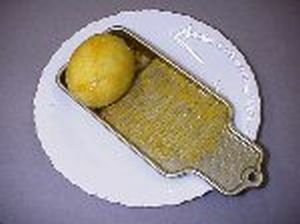 You think that only the squished juice from lemon is used, while the lemon peel is thrown away. Yes, you think that you only need that sour, citrus taste of the lemon's juice, is that right? However, we found out that many professionals in restaurants and eateries are using or consuming the entire lemon and nothing is wasted. How can you use the whole lemon without waste? Simple...place the lemon in the freezer section of your refrigerator. Once the lemon is frozen, get your grater, and shred the whole lemon (no need to peel it) just like the photo below and sprinkle it on top of your foods. Sprinkle it to your whisky, wine, vegetable salad, ice cream, vegetable soup, chicken soup, curry soup, noodles, spaghetti sauce, rice, sushi, meat loaf, sausage, fish dishes, and ramen. It doesn't matter whether it's a Chinese dish, Italian dish, French dish, African, Indian, Japanese, Korean, or Latin American dishes, you just name it. All of these foods will unexpectedly have wonderful taste, something that you may have never tasted before in your life. You don't believe me? Just try it and you will agree with me. Everything will certainly taste great! Most likely, if you hear the word lemon, you only think of lemon juice and vitamin C. Not anymore. Now that you've learned this lemon secret, you can use lemon even in instant cup noodles. The lemon peel is good in making you slim if you are a fat person, or makes you healthy fat if you are skinny. It is very good that the PYRO-ENERGEN is also for the taste of all people. 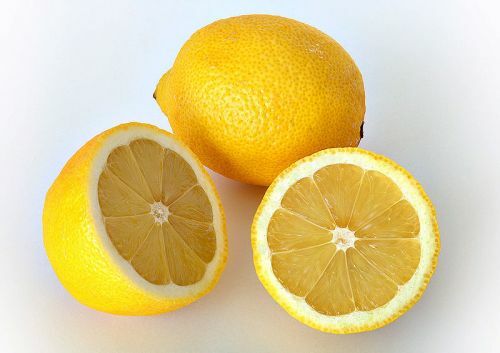 It's also good that lemon peels are health rejuvenators in eradicating toxic elements in the body. Place your lemon in your freezer, and then grate it on your meal time every day. It is a key to make your foods tastier and you get to live healthier and longer! That's the lemon secret!